FARGO, N.D. - Stocks of most farm commodities in North Dakota are up compared to a year ago. That could reflect more farmers storing their crops in the hope prices will rise. The Agriculture Department says in its latest report that all wheat stocks in the state as of March 1 totaled 206 million bushels, up 3 percent from a year ago. On-farm stocks were up 3 percent while off-farm stocks were up 2 percent. Total durum wheat stocks were up 52 percent. 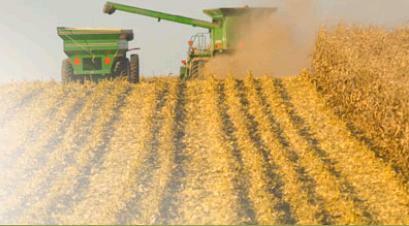 Corn stocks totaled 306 million bushels, up 53 percent. Soybean stocks were up 61 percent, to 62 million bushels. Sunflower stocks also were up, while barley and oats stocks were down.